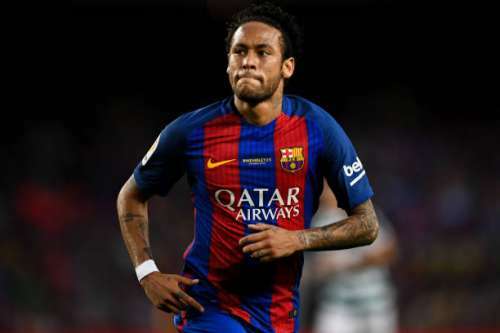 Is Neymar close to leaving FC Barcelona? Hello and welcome to Sportskeeda's latest transfer news and rumours roundup. Today's stories feature the latest update on some of the major happenings in world football which may change the complexion of a few clubs. So let's head right in and take a look at the major happenings across Europe that made headlines on July 3, 2017. Daily Mirror understands that Barcelona have beaten Chelsea in becoming the favourites to sign Juventus' Leonardo Bonucci. The centre-back has garnered a lot of attention this summer and is tempted to leave Turin for Barcelona. The Catalans are ready to spend £60 million on one of the world's best defenders but Juventus want to keep him and are expected to offer him a new bumper deal. Tuttosport claims that the Italian giants are mulling over the idea of breaking their transfer record for Paris Saint Germain's Angel Di Maria. The winger is open for a move away from this summer but the Parisians need £50 million for the Argentine. Di Maria scored 13 goals in all competitions last season and was one of PSG's best players. Inter will go for him if they agree to sell Ivan Perisic to Manchester United. Italian media houses have reported that the Rossoneri have completed the signing of Calhanoglu from Bayer Leverkusen. The fee is reported to be around £20 million for the midfielder who is one of the best free-kick takers in the world. The Turkish international scored 11 goals and assisted 7 times last season which has prompted his reported arrival at a top club.